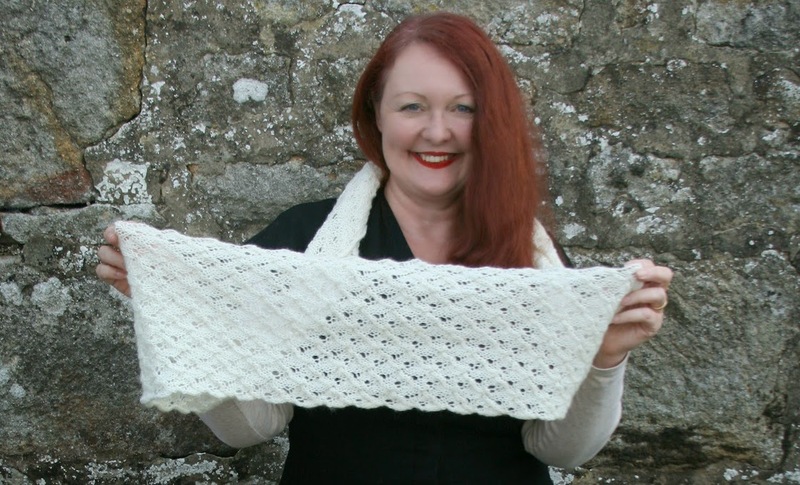 During the excitement of launching Fenella I omitted to blog about TWO new designs which have both been published in the last week – and both use Fenella. The first is published in the latest issue of the fabulous PomPom magazine. I have been a fan and a subscriber of this magazine since issue 1 and greatly admire what Lydia, Meghan and their team have achieved. A convenient A5 size printed on matt paper the mag is reminiscent of a Toast catalogue and indeed has the same high production values. 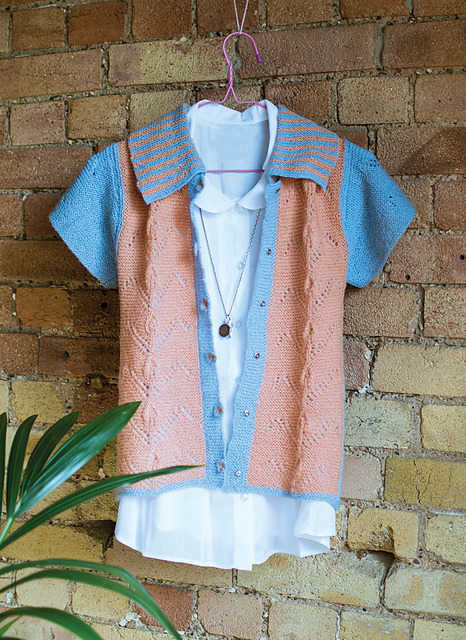 The summer 2014 issues features my design, Flora, a lightweight lacy cardigan-jumper inspired by 1920s sportswear. Designed to have a slightly loose fit this feminine and delicate top can be worn by itself or over a t-shirt or blouse. 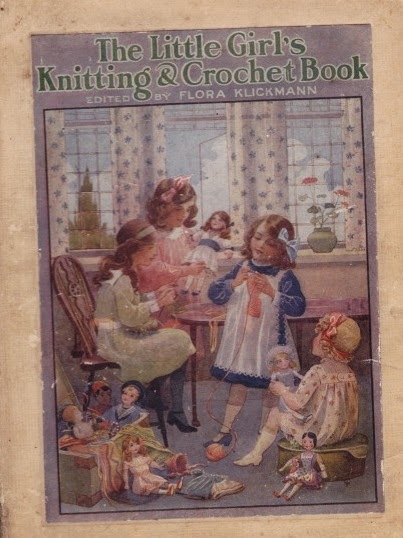 The lacy panels featured are taken from Flora Klickmann's book The Little Girls Knitting and Crochet Book. I am a huge fan of Flora Klickmann, and a collector of her books, and if you would like to know more about her, I have also written an article all about this determined lady in the magazine. 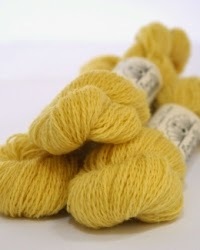 or Myrtle and Jonquil for a real art deco colour way? 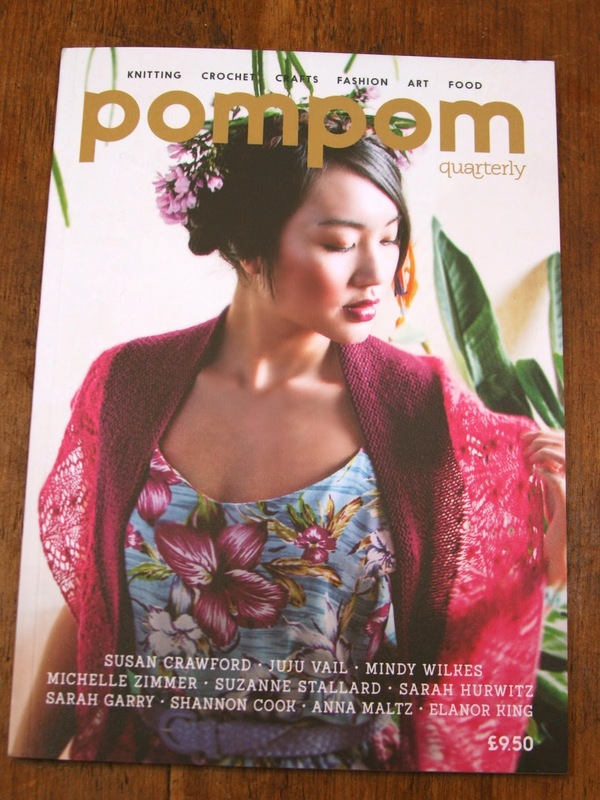 The design rights will revert to me in three months time but in the meantime you can purchase a copy of PomPom here. 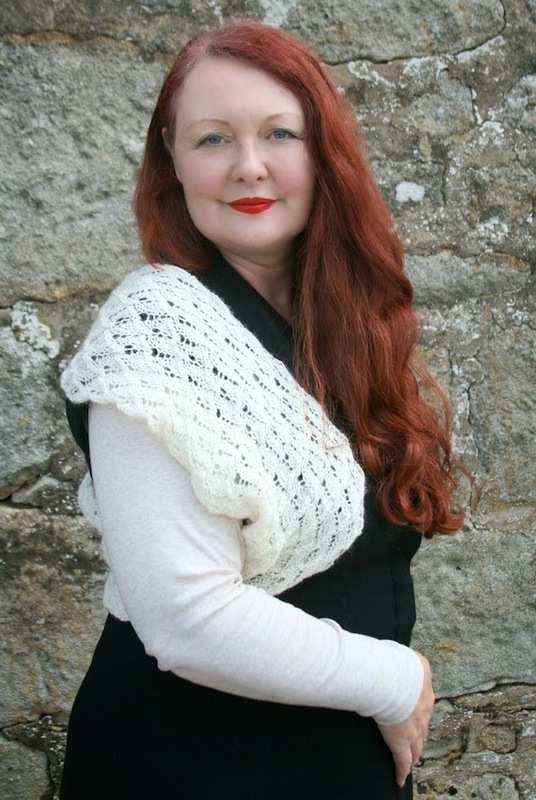 The second design I released this week is Cresta Dell'onda, an incredibly soft and light, lacy cowl. Once again knitted in Fenella, the cowl features a highly textured lace stitch which looks strikingly like its namesake, the crest of the wave. The 10 row pattern is much easier to knit than the finished results suggest with both charted and written instructions provided in the pattern. 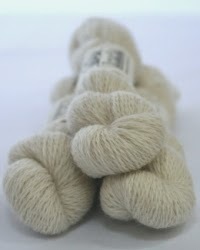 There are two length options, the longer length using 6 x 25g skeins and the shorter version using only 3. It is the perfect wardrobe accessory for spring and summer evenings. The long version can even be worn as a little bolero! 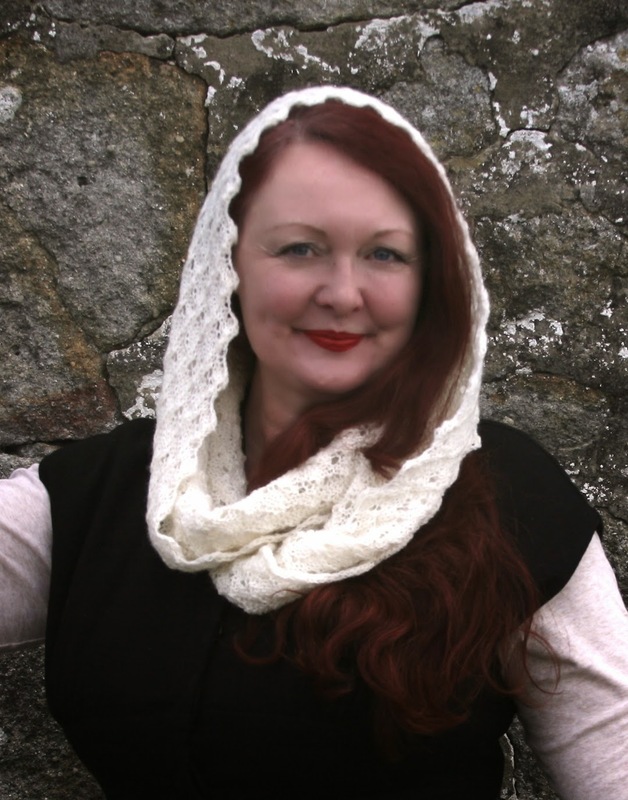 The design was inspired by the reinterpretations of the Spanish mantilla often seen in 1940s knitting magazines such as this gorgeous example. A genuine mantilla is of course made of lace where as the mantilla above uses crochet to achieve a lacy effect. 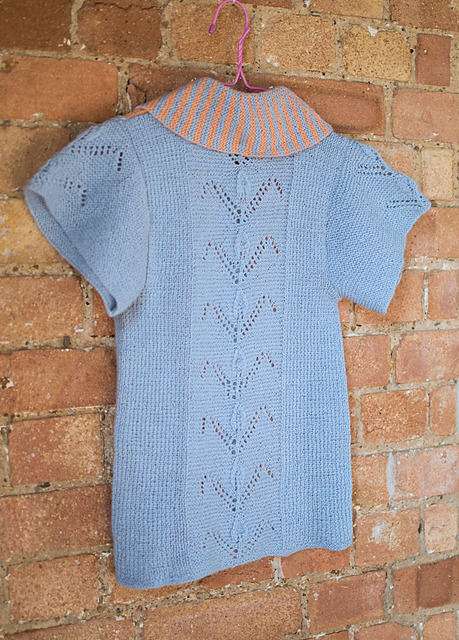 My interpretation is knitted and uses a stitch pattern I found in a 1970s Golden Hands magazine which was simply called Italian Lace pattern, hence my italian design name! I love the way the 'crests' formed by the bias of the pattern frame the face so beautifully. 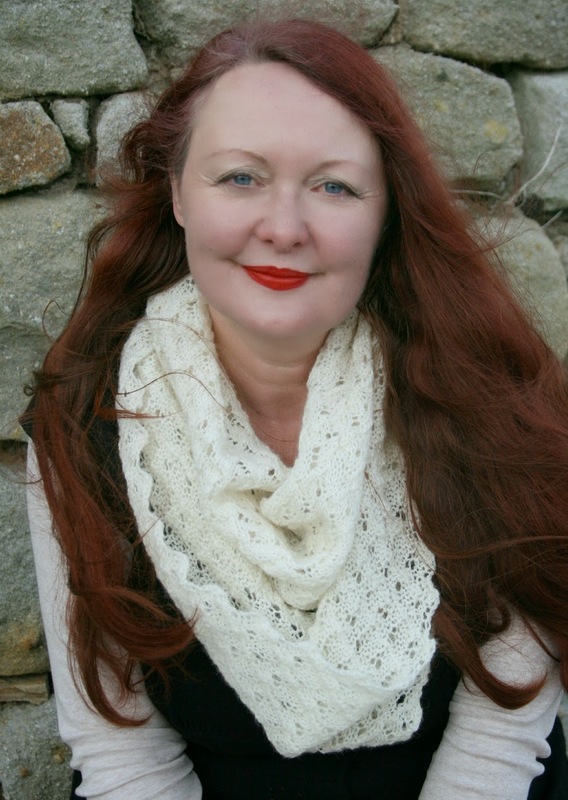 The photoshoot was the first we have done on the farm and the photos were all taken by my talented daughter, Charlie – who is normally on the other side of the camera in many of my patterns. Its one of the few times when I've 'properly' been the model for one of my designs and despite my usual reservations and insecurities, I absolutely love the photographs. I hope you do too. 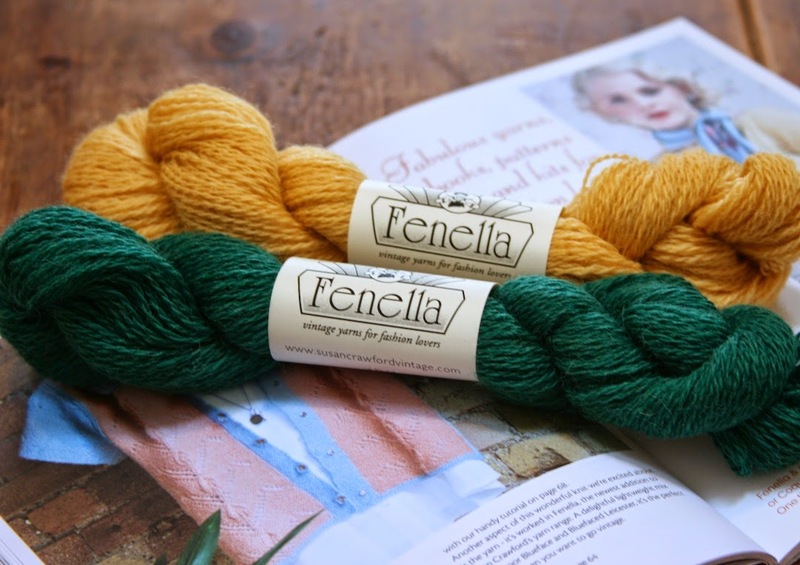 To celebrate the release of Fenella, you can take advantage of a special offer only on my shop – buy the yarn for either the short or long versions of Cresta Dell'onda and receive the PDF pattern completely free of charge. 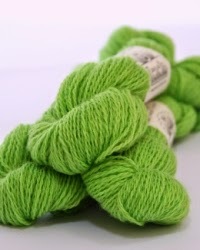 Simply pick either 3 or 6 skeins and choose from any one of the 16 stunning colours to make your cowl. 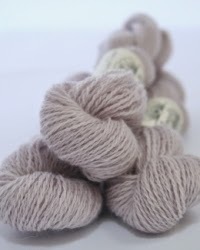 This week sees the official launch of my new 100% British wool, Fenella. 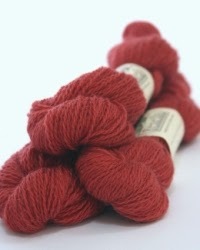 Fenella is my first solo yarn project and it has been a very exciting if somewhat nerve-wracking experience. 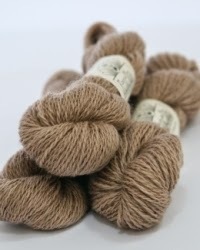 Whilst working on the Vintage Shetland Project I have hit a snag with some of the garments that I wish to recreate. 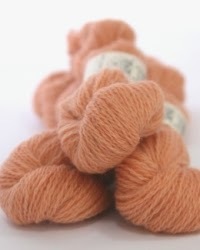 As most of the garments are from the 1930s to the 1950s, the most commonly used yarn weight in their construction is that all too elusive 3 ply. 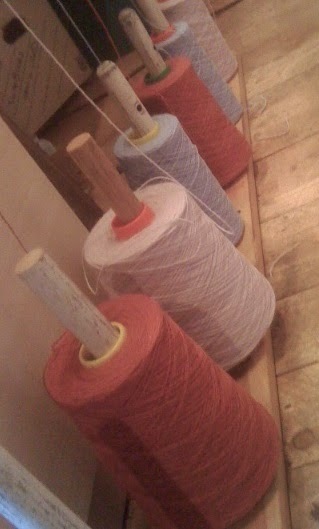 Added to this was the lack of appropriate colours available in any yarn that did happen to fit the weight I needed. I realised that the only way I was going to be able to successfully recreate these garments was to have yarn produced specifically for them. 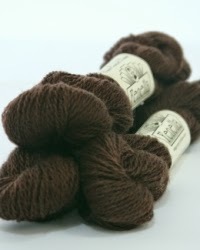 I felt it was important for me to make this yarn into a coherent range that knitters would be able to purchase so that they too could exactly recreate the patterns. 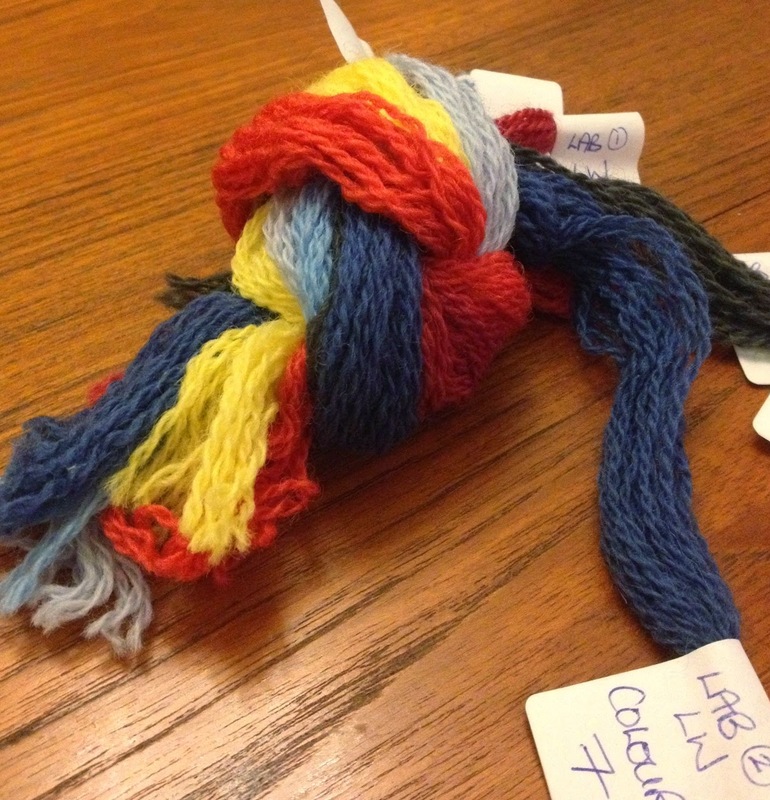 There seemed very little point trying to do an exact reproduction that knitters then couldn’t do themselves. 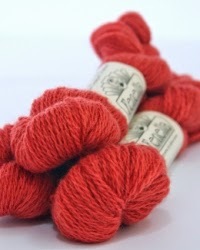 There is little more frustrating than not being able to get the yarns specified in a pattern. 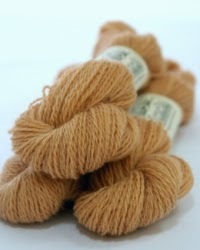 The process of having a yarn commercially produced is a long, slow one. Each step takes many months and also requires a big commitment money-wise to have stock manufactured. Therefore I had to be very strict about how many colours I could actually have. 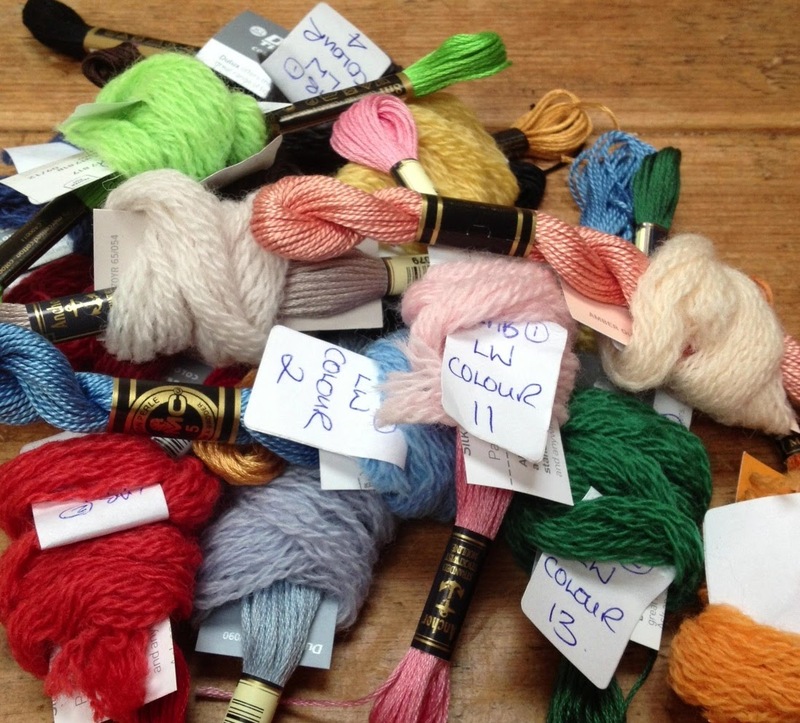 Ultimately I chose 16 colours which cover all my needs for the garments using the yarn and also a couple extra which rounded out the range, making it look more of a collection rather than disparate colours. 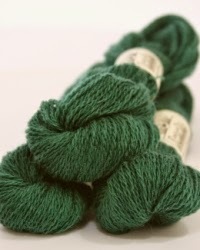 After arranging with John Arbon for a 2 ply weight yarn to be spun, I then had to find myself a dyer who would produce the relatively small quantities I required at a commercially viable price. It is extremely difficult in the UK to find a ‘commercial’ dyer who will dye around 10kg of any one colour and then also ensuring that the cost is not too prohibitive. 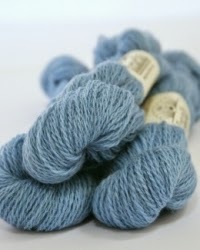 After a lot of searching I found such a dyer in the Scottish Borders. 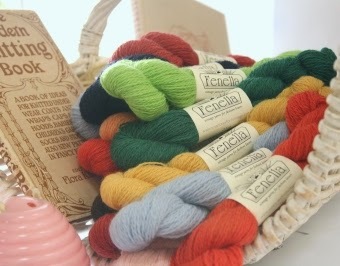 The next step was to provide Bill - the dyer - with colour samples from which he could create the colour palette for Fenella. This was the trickiest part of the whole process as the colours I required recreating where contained in the vintage garments housed at the Shetland Museum archive. Whilst in Shetland I had matched paint colour cards to the garments in order to use them on my return to England. The electronic colour matching equipment used by the dyer however meant that I also needed to find textile and preferably wool samples for them to use in the ‘colour spectrometer‘ to measure which dye would be required to create each colour. 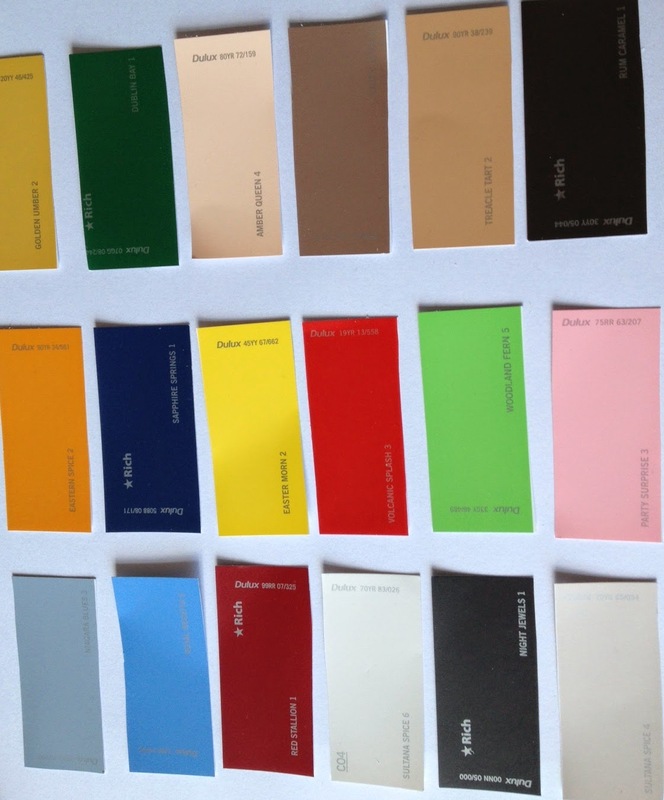 My paint colour cards reflected the light differently to fibre samples and therefore couldn’t give an accurate enough reading. 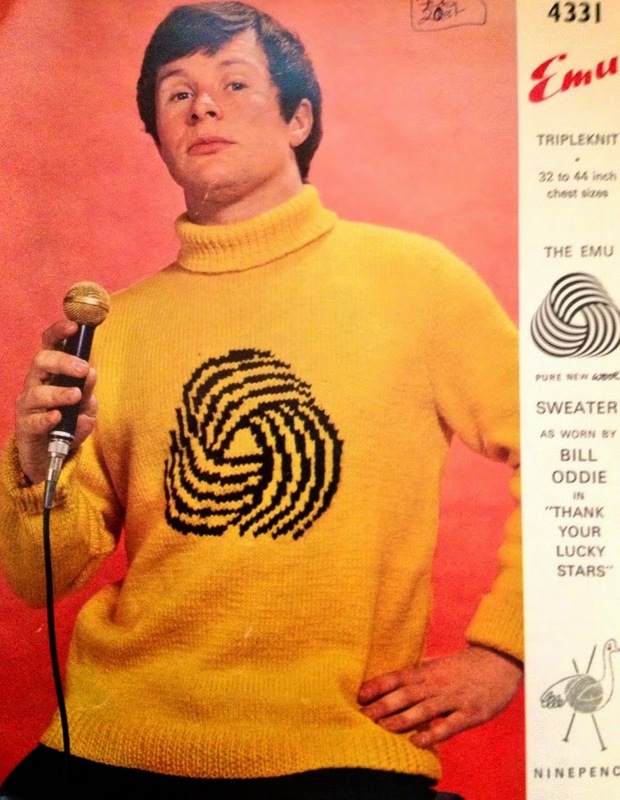 I somehow managed to find a textile sample to represent each of the chosen colours and sent them up to Bill. The next step required a sample cone of the yarn also being sent to Bill and small test samples being made of each colour required. Once I received the samples back I then needed to determine if any of them needed correcting. These corrections would only be done at the ‘live‘ stage, so I wouldn’t actually know until their return whether all the colours where exactly as required. After what seemed like an agonizing few months several huge boxes containing cones of yarn in 16 different colours arrived at my home. Much to my relief the colours were incredible. 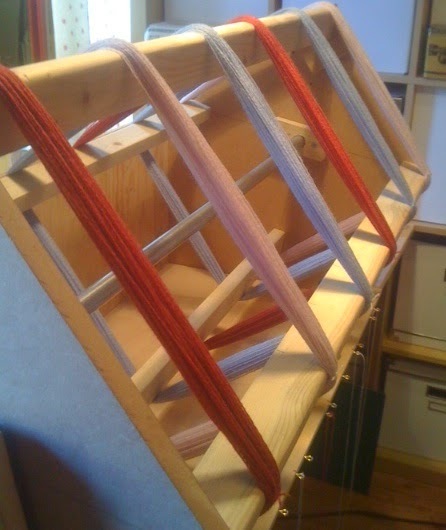 The next continuing step is to wind the yarn off the cones and into 25g hanks and then band them with their pretty Fenella bands identifying each colour. 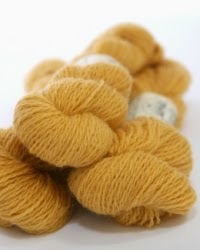 Each skein weighs 25 grams with approximately 124 metres (135 yards) on each skein. 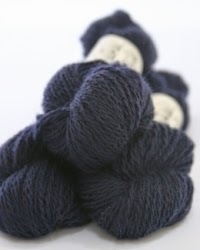 This wonderfully versatile yarn will knit to a wide variety of tensions so is perfect for matching up to vintage 3 ply patterns and I have suggested a standard tension of 30 to 36 sts per 10 cm (4 inches). 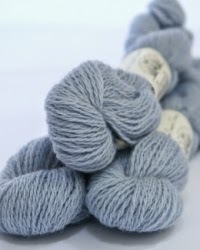 The composition is 100% pure new British wool and is a blend of 70% Exmoor Blueface and 30% Blueface Leicester. 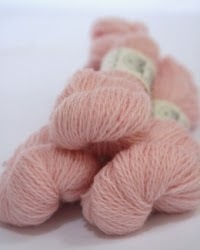 The yarn cost a very reasonable £4.00 per skein and can be purchased directly from my shop. 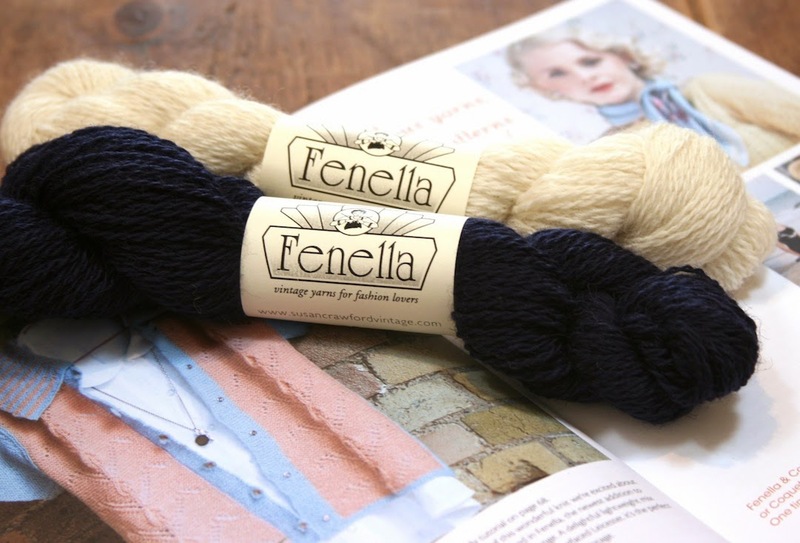 Look out later today for the launch of the first pattern in Fenella - Cresta Dell'Onda which I'll tell you more about tomorrow along with another new design just released in Pom Pom magazine. In the meantime, I hope you love Fenella as much as I do.